Western Digital has a wide variety of products including personal cloud storage. WD My Cloud storage devices are a great way for users to store and access data from any device on their local network via Wi-Fi or direct internet connection. Personal clouds are great for accessing content from all your devices regardless of form factor and they support most operating system and devices: PCs, tablets, smart phones, smart TVs, game consoles etc. The local connection to your home network will make uploading and downloading content quick and seamless. While Western Digital does make high quality products, things can still go wrong. Inside Western Digital My Cloud enclosures there are one or more hard drives set up as a Network Attached Storage (NAS) device and in some cases a RAID controller. Regardless of how well a hard drive storage device is made, they can still fail for a variety of reasons. WD My Cloud Head crash: read/write heads have failed and are no longer able to read or write data to the platter’s surface. Symptoms of a head crash may include: audible clicking sounds, hard drive spins up and then spins down, partial access to data. Western Digital My Cloud power spike: Typically, when the external electronics of a hard drive (PCB) get damaged by a power spike the drive does not spin. Also, power spikes can affect the enclosure of the My Cloud NAS device. WD My Cloud Mirror: Two WD hard drives, one hard drive acting as a mirror to the primary drive. WD My Cloud EX2: RAIDD 0, 1; JBOD and spanning drive modes. While RAID 1 is a redundant RAID mode, physical failure of both hard drives will require data recovery services. WD My Cloud EX4: RAID 1, 5, 10 or select from spanning and JBOD: RAID 1 and RAID 5 WD My Cloud setups do provide protection against data loss with the loss of one hard drive. RAID 1 and RAID 5 WD My Cloud configurations do provide protection from data loss if one drive fails. Should a second drive fail in a RAID 5, prior to replacing and rebuilding the failed drive, the entire array will be lost. Should a second drive become damaged or if the mirror has stopped in a RAID 1, data loss will occur. DTI Data Recovery has been performing WD My Cloud Data Recovery for decades. 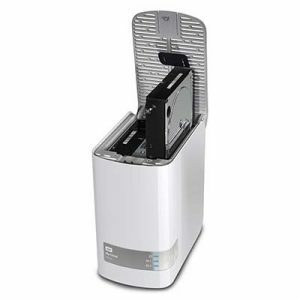 We are familiar with all WD hard drive models and drive families. Additionally, our RAID engineers are very well versed will all levels of RAID recovery including: RAID 5, RAID 0, RAID 1 and JBOD or spanned sets. It is for these reasons that Western Digital has listed DTI Data recovery as an authorized data recovery partner. All of our Western Digital customers are eligible for a 10% discount and a complimentary copy of our Recover It All Now software.